The Shore Holiday Apartments enjoy a great position for the Armor All Gold Coast 600 on the V8 Race precinct boundary gate, see the cars speed down the straight and into the hairpin corner just a few metres away! The Gold Coast’s biggest party takes place from October 24-26, 2014 with three action filled days of street racing as the V8 Supercar drivers charge through the Surfers Paradise street circuit to claim the inaugural PIRTEK Enduro Cup. With the biggest entertainment program in the events history – the events off the track will be just as electric as the on-track action. Friday night’s concert will be headlined by US rap-rock outfit, Gym Class Heroes, featuring Travie McCoy, supported by Australia’s Spiderbait, Havana Brown and Bombs Away. Saturday night will be an all-Australian evening with Aria Award winning electro-pop duo The Presets, supported by Rock greats Grinspoon, Gold Coast international success story The Stafford Brothers and DJ Brooke Evers. For tickets and info visit GC600. Don’t have accommodation yet? 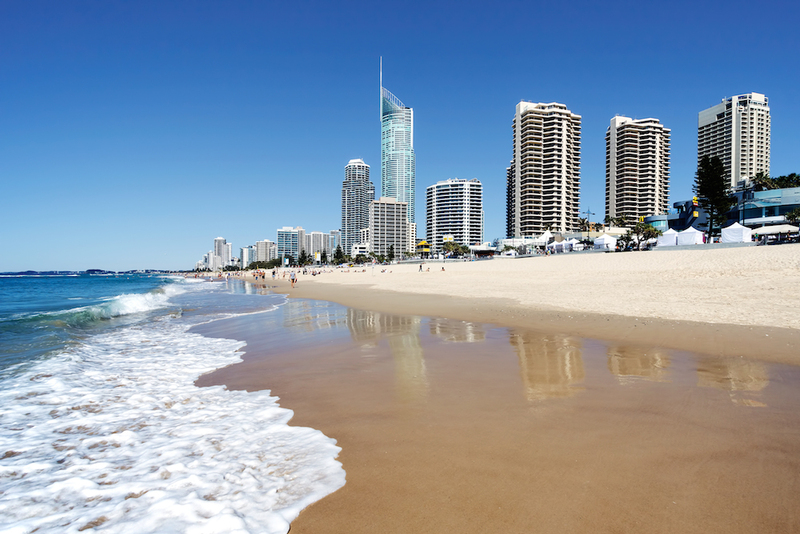 Be quick and book your stay at The Shore Holiday Apartments in Surfers Paradise.